This is a rendering of a revitalized South Broad District. The Chattanooga City Council on Tuesday approved two measures one of which will help redevelopment on the city's Southside. Council members approved a plan for redevelopment in the South Broad Street area that could include a new Lookouts stadium along with housing, parks and commercial areas aimed at bringing more people and businesses south of the freeway. The South Broad plan was developed by the Chattanooga Design Studio and includes ideas from people who attended a series of public meetings last fall. 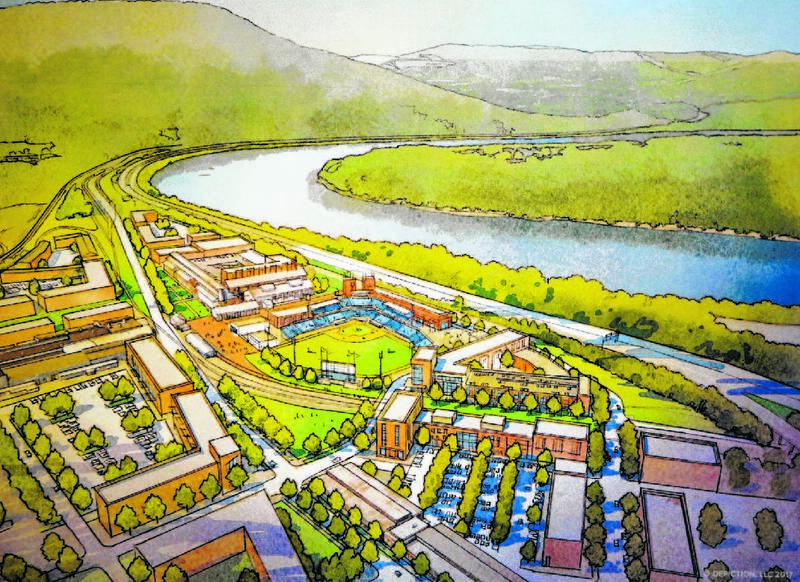 Designers are proposing that the 400 acres south of Interstate 24 along and around Broad Street could join in Chattanooga's central city renaissance, with zoning rules to allow new types of urban housing and retail development. John Bridger, executive director of the Chattanooga-Hamilton County Regional Planning Agency, told the council the six-month planning process was designed to 'frame a vision for the redevelopment of the Southside community." "It's a more detailed look from an urban design perspective on how we see the future of that community building out," Bridger said. The area is a "tremendous gateway not only to the Southside but the Chattanooga community." 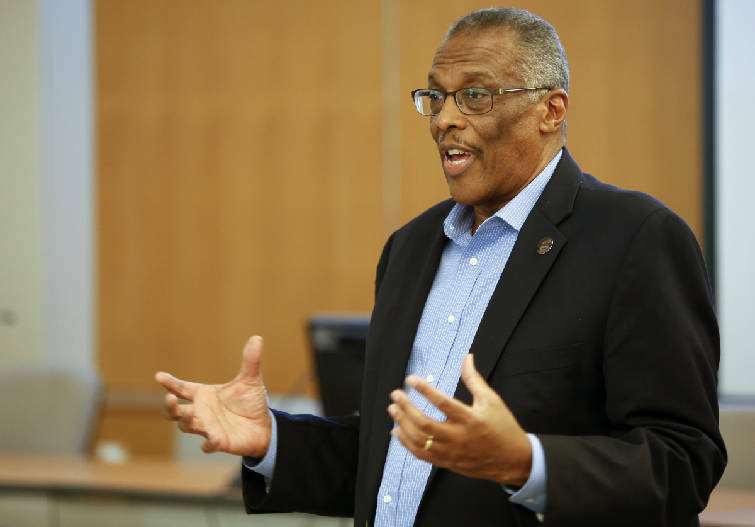 Councilman Erskine Oglesby Jr., a strong backer of the plan, commended the high level of public participation in the process and added, "This is going to help us transition into what Chattanooga's going to be moving forward." The study noted the South Broad Street area has captured only 1 percent of more than $1 billion invested in the central city over the past three years. When the plan was introduced in February, Chattanooga Mayor Andy Berke said "it is vital for Chattanooga to have a South Broad District which is parallel to the downtown's continued economic growth, productivity and progress." District 7 Councilman and Economic and Community Development Committee Chair Erskine Oglesby speaks during a community meeting on the South Broad District revitalization plans at the Development Resource Center on Monday, Feb. 26, 2018 in Chattanooga, Tenn.
Hamilton County Mayor Jim Coppinger said then he "fully supports this report" and hopes it "will help guide elected leaders" in making plans for the Southside. It recommends capitalizing on plans for a new exit from I-24 and of using 140 acres on the former site of the Wheland and U.S. Pipe foundries for new retail, housing and stadium development. The study claims similar stadium projects in six other cities attracted more than 1.1 million square feet of new development within a quarter of a mile. But critics have cast doubt on those figures. Some also are skeptical of using public financing for a stadium project. The study discusses the use of tax increment financing, which uses extra taxes from growth to pay for public improvements such as sidewalks and parks in the area. The development plan also calls for redeveloping the Chattanooga Gardens neighborhood around the Howard School with a mix of housing for diversity and a range of incomes. The council also voted to accept a $100,000 grant for infrastructure planning at the former Harriet Tubman public housing site. The city took over the 36-acre Tubman site from the Chattanooga Housing Authority in 2014, spending around $7 million to buy the land and to demolish 440 housing units. The site is being eyed for economic development, and the grant will pay for items such as a wetlands study, grading to make it "pad ready" and possibly engineering work to move a sewer line. The city will put up $100,000 as a match. Also Tuesday, the council elected Councilmen Ken Smith and Oglesby as their new chairman and vice chairman, respectively. No other names were placed in nomination, and the votes were unanimous for both. Smith moves up from the vice chairman position, replacing Jerry Mitchell. Council members praised Mitchell for leading in a respectful way and making procedural changes that made council meetings more open and welcoming for Chattanooga citizens.